It was a faustian bargain—and it certainly made editors at National Public Radio squirm. NPR took the deal. “I'll be at the briefing,” Stein wrote. 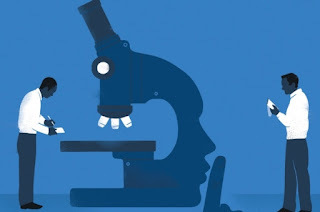 Documents obtained by Scientific American through Freedom of Information Act requests now paint a disturbing picture of the tactics that are used to control the science press. For example, the FDA assures the public that it is committed to transparency, but the documents show that, privately, the agency denies many reporters access—including ones from major outlets such as Fox News—and even deceives them with half-truths to handicap them in their pursuit of a story. At the same time, the FDA cultivates a coterie of journalists whom it keeps in line with threats. And the agency has made it a practice to demand total control over whom reporters can and can't talk to until after the news has broken, deaf to protests by journalistic associations and media ethicists and in violation of its own written policies. A surprisingly large proportion of science and health stories are the product of embargoes. Most of the major science journals offer reporters advance copies of upcoming articles—and the contact information of the authors—in return for agreeing not to run with the story until the embargo expires. These embargoes set the weekly rhythm of science coverage: On Monday afternoon, you may see a bunch of stories about the Proceedings of the National Academy of Sciences USA published almost simultaneously. Tuesday, it's the Journal of the American Medical Association. On Wednesday, it's Nature and the New England Journal of Medicine. Science stories appear on Thursday. Other institutions have also adopted the embargo system. Federal institutions, especially the ones science and health journalists report on, have as well. Embargoes are the reason that stories about the National Laboratories, the National Institutes of Health and other organizations often tend to break at the precisely same time. Embargoes were first embraced by science reporters in the 1920s, in part because they take the pressure off. After all, when everybody agrees to publish their stories simultaneously, a reporter can spend extra time researching and writing a story without fear of being scooped. “[Embargoes] were created at the behest of journalists,” says Kiernan, who has written a book, Embargoed Science, about scientific embargoes. “Scientists had to be convinced to go along.” But scientific institutions soon realized that embargoes could be used to manipulate the timing and, to a lesser extent, the nature of press coverage. The result is a system whereby scientific institutions increasingly control the press corps. “They've gotten the upper hand in this relationship, and journalists have never taken it back,” Kiernan says. The embargo system is such an established institution in science journalism that few reporters complain or even think about its darker implications, at least until they themselves feel slighted. This January the California Institute of Technology was sitting on a great story: researchers there had evidence of a new giant planet—Planet Nine—in the outer reaches of our solar system. The Caltech press office decided to give only a dozen reporters, including Scientific American's Michael Lemonick, early access to the scientists and their study. When the news broke, the rest of the scientific journalism community was left scrambling. “Apart from the chosen 12, those working to news deadlines were denied the opportunity to speak to the researchers, obtain independent viewpoints or have time to properly digest the published research paper,” complained BBC reporter Pallab Ghosh about Caltech's “inappropriate” favoritism in an open letter to the World Federation of Science Journalists. Caltech is not the only institution that steers coverage by briefing a very small subset of reporters. (As I was writing this piece, I received a note from a U.S. Air Force press officer offering a sneak preview of video footage being offered to “a select number of digital publications.”) For years the FDA has been cultivating a small group of journalists who are entrusted with advance notice of certain events while others are left out in the cold. But it was not the game of favorites that ignited a minor firestorm in the journalism community in January 2011—it was the introduction of the close-hold embargo. Like a regular embargo, a close-hold embargo allows early access to information provided that attendees not publish before a set date and time. In this case, it was a sneak peek at rules about to be published regarding medical devices. But there was an additional condition: reporters were expressly forbidden from seeking outside comment. Journalists would have to give up any semblance of being able to do independent reporting on the matter before the embargo expired. Even reporters who had been dealing with the FDA for years were incredulous. When one asked the agency's press office if it really was forbidding communications with outside sources, Karen Riley, an official at the FDA, erased all doubt. “It goes without saying that the embargo means YOU CANNOT call around and get comment ahead of the 1 P.M. embargo,” she said in an e-mail. Initially published online in June 2011, the FDA's new media policy officially killed the close-hold embargo: “A journalist may share embargoed material provided by the FDA with nonjournalists or third parties to obtain quotes or opinions prior to an embargo lift provided that the reporter secures agreement from the third party to uphold the embargo.” Due diligence would always be allowed, at least at the FDA. In reality, there was no misunderstanding. The close-hold embargo had become part of the agency's media strategy. It was here to stay—policy or no policy. It is hard to tell when a close-hold embargo is afoot because, by its very nature, it is a secret that neither the reporters who have been given special access nor the scientific institution that sets up the deal wants to be revealed. The public hears about it only when a journalist chooses to reveal the information. Also in 2014 the Harvard-Smithsonian Center for Astrophysics (CfA) used a close-hold embargo when it announced to a dozen reporters that researchers had discovered subtle signals of gravitational waves from the early universe. “You could only talk to other scientists who had seen the papers already; we didn't want them shared unduly,” says Christine Pulliam, the media relations manager for CfA. Unfortunately, the list of approved scientists provided by CfA listed only theoreticians, not experimentalists—and only an experimentalist was likely to see the flaw that doomed the study. (The team was seeing the signature of cosmic dust, not gravitational waves.) “I felt like a fool, in retrospect,” says Lemonick, who, as one of a dozen or so chosen journalists, covered the story for Time (at the time, he was not on the staff of Scientific American). Ten reporters—from the New York Times, the Washington Post, USA Today, the Associated Press, Reuters, ABC, NBC, CNN and NPR—were invited to have their stories shaped. The day after the briefing, on February 4, everybody—except for the New York Times—ran with stories about the ad campaign. Independent comment was notably missing. Only NPR, which went live hours after the others, and CNN, in an update to its story midday, managed to get any reaction from anyone outside of the FDA. CBS plunked down an out-of-context quotation from the director of the Centers for Disease Control and Prevention, probably in hopes that readers wouldn't notice that it was two months old. Nobody else seems to have tried to get anyone who could critique the ad campaign. The result was a set of stories almost uniformly cleaving to the FDA's party line, without a hint of a question about whether the ad campaign would be as ineffective as many other such campaigns. Not one of the media outlets said anything about the close-hold embargo. From the agency's point of view, it was mission accomplished. The FDA had a much harder task two months later. The agency was about to make public controversial new rules about electronic cigarettes. It was nearly impossible to keep the story from leaking out ahead of time; days before the new rules were going to be published in April 2014, rumors were flying. Reporters around the country could smell the story and began to e-mail the FDA's press office with questions about the e-cigarette rules. The agency flacks would have to use all the powers at their disposal to control the flow of information. Not even an offer of being off the record could get the agency to spill the beans. “The FDA can't speculate on the timing of the proposed rule,” Haliski replied. But this was a carefully crafted half-truth. There was no need to speculate. Haliski and others in the press office knew quite well not just that the rule was going to be published on Thursday, April 24, but also that there was going to be a close-hold embargoed briefing on Wednesday. It's just that Ritger and the National Journal weren't invited. The invite list had been drafted days earlier, and, as usual, the briefing was limited to trusted journalists: the same outlets from the ad campaign briefing in February, with the addition of a few more, which included the Wall Street Journal, the Boston Globe, the Los Angeles Times, Bloomberg News, Politico and the Congressional Quarterly. At the very same moment that the agency was discussing the embargoed briefing with some of their chosen reporters, anyone outside that small circle, like Ritger, was being thrown off the trail. Not even Fox News was allowed in. Some within the FDA press office wondered why Fox was excluded, unlike the other major networks. “BTW, we noticed that Fox still wasn't on the invite list,” Raquel Ortiz, then an FDA press officer, told Haliski. “Hi, John, Have you subscribed to FDA press announcements?” Access denied. A little after noon on Wednesday, April 23, the briefing went on as scheduled. All the reporters present understood the terms, as announced: “As discussed, under this embargo you will not be able to reach out to third parties for comment on this announcement. We are providing you with a preview of the information with this understanding.” But by 2:30 P.M., the close-hold embargo was already fraying at the edges. FDA officials apparently got wind that a reporter was trying to talk to a member of Congress about the new rules. Even though it was not clear that this was a breach of the embargo—the interview was scheduled for after the embargo expired, and the reporter presumably did not share any crucial information ahead of time—it was bending the close-hold rules, and the FDA was livid. Within half an hour, FDA's Erica V. Jefferson had fired off an angry e-mail to the close-hold journalists. “It has been brought to our attention that there has already been a break in the embargo…. Third-party outreach of any kind was and is not permitted for this announcement. Everyone who participated agreed to this,” she wrote. “Moving forward, we will no longer consider embargoed briefings for news media if reporters are not willing to abide by the terms an embargo…. We take this matter very seriously, and as a consequence any individuals who violated the embargo will be excluded from future embargoed briefings with the agency.” Violate the rules, even in spirit, and you'll be left out in the cold with the rest. Some of the other outlets, like NPR, injected a little more nuance into their pieces, despite the restrictions, by doing additional reporting after the embargo expired. (In a statement, NPR said that agreeing to the FDA's conditions was not a violation of ethics guidelines and “in no way influenced which other voices or ideas were included in the coverage.”) Still, even those pieces did not stray far from the key messages that the agency wanted to get across. Again the FDA found little to complain about. Except for one little thing. Oransky complained again on Embargo Watch about the FDA's attempts to turn journalists “into stenographers.” Sullivan asked a few pointed questions of Jefferson, who, in Sullivan's words, insisted that the FDA's intent was “not to be manipulative but to give reporters early access to a complicated news development” and noted, in passing, that Tavernise had not objected to the terms of the close-hold embargo. But the damage was short-lived. Very little came of the complaints; Sullivan said that she would “like to see the Times push back—hard—against such restrictions in every instance and be prepared to walk away from the story if need be,” but there is no evidence of any substantial pushback by anyone. The two-tiered system of outsiders and insiders that undergirds the close-hold policy is also still enforced. Major press outlets such as Scientific American and Agence France-Presse have written to the FDA to complain about being excluded but have not received any satisfaction from the agency. Months after the e-cigarette affair and following a different FDA story about food labeling that insiders had early access to, Time magazine complained about its lack of access to a select-press-only phone call. “Time was not included … (they weren't even on my radar to be honest with you), but we handled all their queries” the day after the call, then FDA press officer Jennifer Corbett Dooren wrote. Absent any indications from the agency, it is anyone's guess whether the close-hold embargo is still in use at the FDA and, if so, how frequently. Unfortunately, the FDA refused to answer any questions. Because I am suing the agency for access to documents about embargo practices at the FDA, the press office, in a statement that failed to answer any specific questions, said that news embargoes “allow reporters time to develop their articles on complex matters in an informed, accurate way” and that its use of embargoes conforms to relevant government guidelines and best practices. The press office referred all questions to the FDA's Office of the Chief Counsel, which did not supply answers. Since the New York Times slip, no journalist covering the agency has openly mentioned being subject to such restrictions. Scientific American made a significant effort to contact many of the reporters believed to have agreed to an FDA close-hold embargo—including the AP's Felberbaum, the Times' Tavernise, NPR's Stein, and other reporters from Reuters, USA Today and the LA Times. None could shed any light on the issue. Some explicitly refused to speak to Scientific American; some failed to return queries; two had no recollection of having ever agreed to a close-hold embargo, including Tom Burton, a Pulitzer Prize–winning Wall Street Journal reporter and the only one willing to answer questions. “I didn't remember it at all, and [even] after you told me, I didn't remember,” he said. As far as he knows, Burton added, such embargoes are rare. No matter how rare it might be, there is documentary evidence of its happening multiple times, and each instance since 2011 is a violation of the FDA's official media policy, which explicitly bans close-hold embargoes. This policy still stands, just as it did before the last close-hold embargo. The smart money says that the agency's unofficial policy still stands, too—and the favoritism and close-hold embargoes continue. It is apparently too sweet an arrangement for the FDA simply to walk away. As much blame as government and other institutions bear for attempting to control the press through such means, the primary responsibility lies with the journalists themselves. Even a close-hold embargo wouldn't constrain a reporter without the reporter's consent; the reporter can simply wait until the embargo expires and speak to outside sources, albeit at the cost of filing the story a little bit later. Says Oransky: “We as journalists need to look inward a little bit and think about why all of us feel we absolutely have to publish something at embargo [expiration] when we don't think we have the whole story?” Alas, Kiernan says, there isn't any movement within the journalism community to change things: “I don't know that journalists in general have taken a step back, [looking] from the 50,000-foot view to understand how their work is controlled and shaped by the embargo system. This article was originally published with the title "How to Spin the Science News"
Forget about guns… according to a long-time nemesis and drug safety activists, chances are that the Secret Service should be protecting Hillary Clinton from her doctor. Among those who panicked at the recent sight of Hillary Clinton being physically helped toward the finish line in this election, supporters in the patient safety community suffered an extra jolt with the news that Clinton is being administered the antibiotic Levaquin to treat her pneumonia. The widely prescribed drug, along with other drugs like Cipro in the class known as fluoroquinolones, has been associated with an outsized risk of particularly nasty side effects — and should Hillary find herself among the minority of those who are injured by the drug, one of her main antagonists says the Democratic nominee for president may have herself partly to blame. The Food and Drug Administration sent out an advisory in May of this year telling physicians what a lot of people already know about the class of drugs called fluoroquinolones: They can they be very dangerous. The problem seems to be that many doctors may not have gotten the memo. “No matter how important a doctor is or how trusted, they are never fully informed about everything,” says Kathy Day, a retired nurse and safety advocate from Maine. That has been my experience as well. I consider my current doctor to be the best primary care physician I have ever been to, but when it came time to treat bronchitis, he prescribed a fluoroquinolone. When I told him about the many people injured by the drug, the survivor support groups, the lawsuitsand the FDA advisories, he was genuinely surprised. He has been prescribing the drugs with great efficacy and no serious side effects for many years. In light of current knowledge about how these drugs can have crippling side effects in a small percentage of patients, one can assume that the doctor and his patients have simply been fortunate, although another possibility is that any injuries were latent and were not perceived to have been the result of the antibiotic. But the fact that this very skilled and otherwise knowledgeable physician was unaware of the risks illustrates the information overload problem confronting doctors. Rachel Brummert was prescribed fluoroquinolone for a sinus infection in 2006, and today she endures the suffering from the many bad reactions which began shortly after she took it, including nine tendon ruptures, peripheral neuropathy, arrhythmia, tremors, vertigo, tinnitus, persistent gastric problems and more. She is now Executive Director of the Quinolone Vigilance Foundation and works to raise awareness of Fluoroquinolone Toxicity — among doctors. Brummert has been pushing for the FDA to send out “Dear Doctor” letters for many months. “While I know that not all doctors will read them and their time is valuable, it’s better than whatever system is not working right now,” she says. In the face of the FDA’s inaction, Brummert has taken the task upon herself through her foundation and expects to begin sending letters out by the end of the month. Meanwhile, professional Clinton nemesis Larry Klayman probably could not believe his astonishing good luck when he heard the news that Hillary was being treated with Levaquin. Klayman’s the man who keeps the Clinton email controversy fully stoked through Judicial Watch, his “non-partisan educational foundation,” and with the antibiotic story, he has hit the triple jackpot in his Javert-like quest to take Hillary down a peg or two, having recently filed an $800 million lawsuit on behalf of five Levaquin victims. And now Fluoroquinolone toxicity has been added to the already poisonous brew of the 2016 presidential election.